By default, Harmony works with vector images created within its own interface. Vector images are primarily composed of information about the different shapes composing the images, as well as their line and fill colours. This makes them easy to edit and paint, and allows us to resize them without affecting the image quality. In contrast, bitmap images are composed of colour information about each individual pixel composing the image. Hence, they are more fit for very detailed or realistic pictures, but they cannot be scaled without losing image quality, and can not be edited as easily as vector images. Typically, you would need to work with bitmap images if you must create some of your scene assets, such as backgrounds or props, in a different software. You can then import those bitmap image files into your Harmony scene. Keep as Original Bitmap : This imports the image exactly as is and ensures that it cannot be modified when working on the scene. This is useful for using backgrounds that were created in different software in your project. 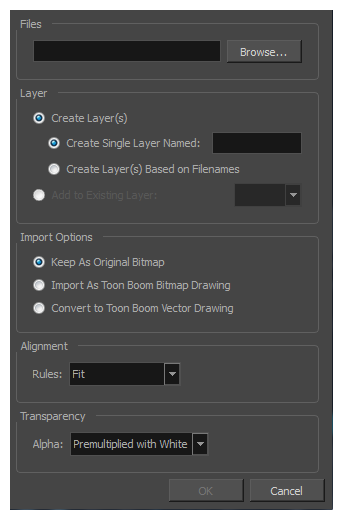 Import as Toon Boom Bitmap Drawing: This imports the image as is, but allows you to edit it using Harmony's bitmap drawing tools—see About Vector and Bitmap Layers. 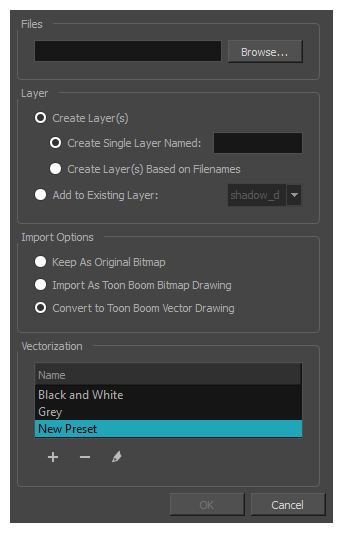 Import as Toon Boom Vector Drawing : Converts a bitmap into Toon Boom vector art, which can easily be painted and edited using Harmony's vector drawing tools. This can be useful for importing line art scanned or created using a different software. When importing images, the settings used to import are saved in your user settings. From the top menu, select File > Import > Images. In the File toolbar, click the Import Images button. In the Xsheet view, right-click anywhere in the frame area and select Import > Images. In the Files section of the Import Images dialog box, click Browse to find and select one or more images on your computer. Create Single Layer Named: Creates a new layer with the specified name and imports the images into it. Create Layer(s) Based on Filenames: Creates a layer based on each unique filename prefix. For example, if you import three files named a-1.tga, a-2.tga and b-1.tga, this will create two layers, one named "a" and one named "b". Layer "a" will contain the two first images and "b" will contain the third one. Add to Existing Layer: Imports the images into the specified layer. Note that you can only import into layers that are compatible with your import options. For example, if you're importing images as vector drawings, you can only import them into vector drawing layers. In the Vectorization section, make sure the Vectorize Image option is unchecked. In the Import Options section, select the Keep As Original Bitmap option. Adjusts the image's size to fit completely within the scene's field, both vertically and horizontally, making sure the entire image is visible. This has the opposite effect to the fit parameter. 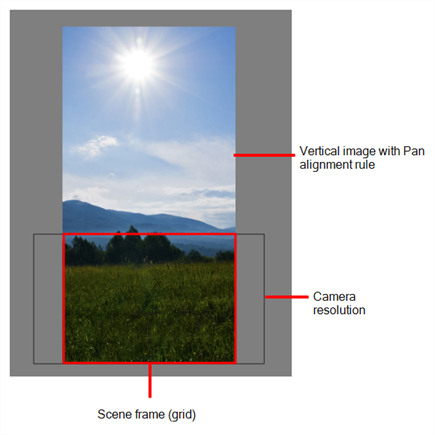 The image's smallest dimension will be made to fit the scene frame's matching dimension, and the image's largest dimension will be adjusted proportionally, making the image fill the entire scene field, and bleed past its boundaries it if its aspect ratio does not match the field's aspect ratio. This option can be used to import a panning background image, also referred to as a pan. Scales the image to fit the scene's resolution, making each pixel in the image take one pixel in the scene's field. 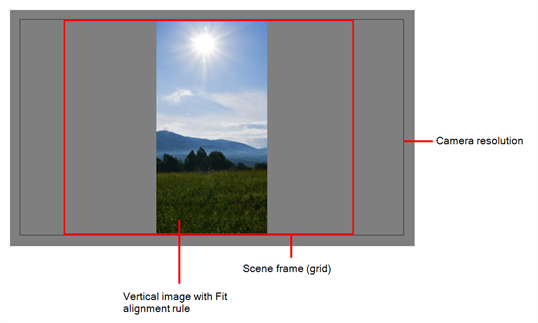 For example, if the image's dimensions in pixels are half of the scene's resolution in pixels, then the image's dimensions will appear to be half of the scene field's dimensions. Individual pixels at the edge of an image are blended with white. Pixels at the edge of an image are blended with black. Pixels at the edge of an image are blended with black, white and greys. Clamp Colour to Alpha Premultiplies the colour value with the alpha value. When the colour is clamped to the alpha, the colour value cannot be higher than the alpha value. It calculates the real colour value faster. When the RGB values are multiplied with the alpha value, that is to say, if you have a pixel of value R=247, G=188, B=29 and the alpha is 50% or the image has a 50% transparency, then the actual RGB values that are output would be half of the amounts listed above. NOTEBy default, bitmap images will display in low resolution in the Camera view so as to avoid affecting playback performance. You can also adjust the display quality of a bitmap image by selecting it with the Transform tool, then opening the Bitmap Image Quality dialog via View > Bitmap File Quality. You can also preview your bitmap image in your scene's resolution by activating the Render Preview mode in the Camera view. Harmony allows you to import images as vector drawings. Vector drawings can easily be painted and edited using Harmony's vector drawing tools. This can be useful for importing line art scanned or created using a different software, as you can then paint it in Harmony. In the Files section of the Import Images dialog box, click Browse to select one or more images from your computer. 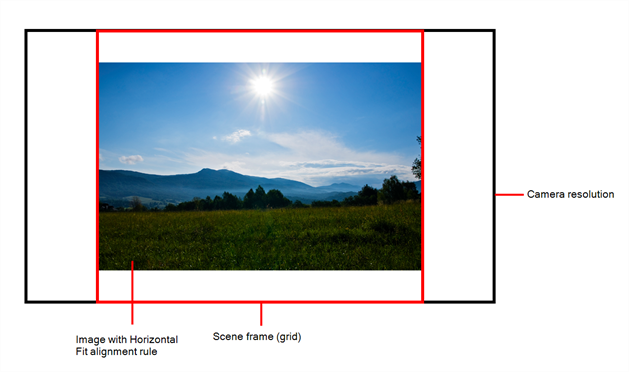 Adjusts the image's size so that its height matches the scene's height, without affecting its aspect ratio. 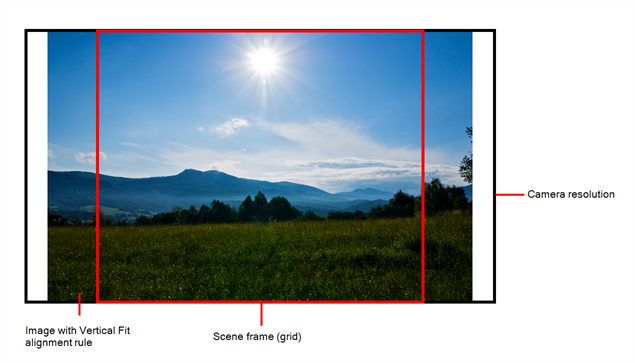 Adjusts the image's size so that its width matches the scene's width, without affecting its aspect ratio. Imports the image in its actual size, without adjusting its size relative to the scene's resolution. 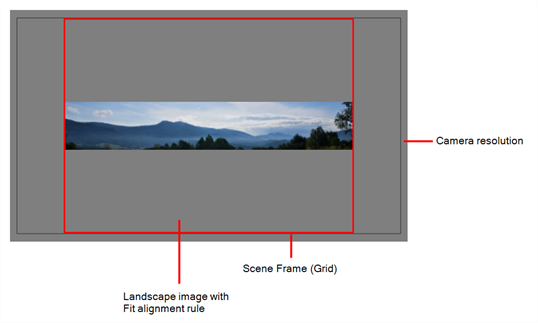 For example, if the image's dimensions in pixels are half of the scene's resolution in pixels, then the image's dimensions will appear to be half of the scene field's dimensions. 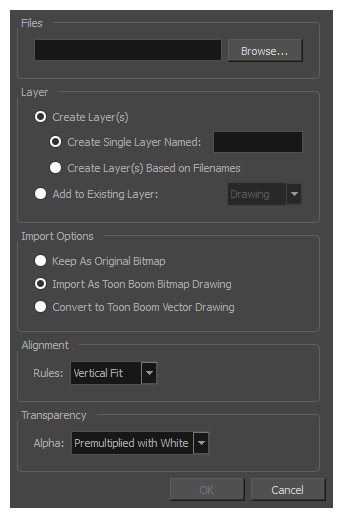 In the Import Options section, select the Convert to Toon Boom Vector Drawing option. 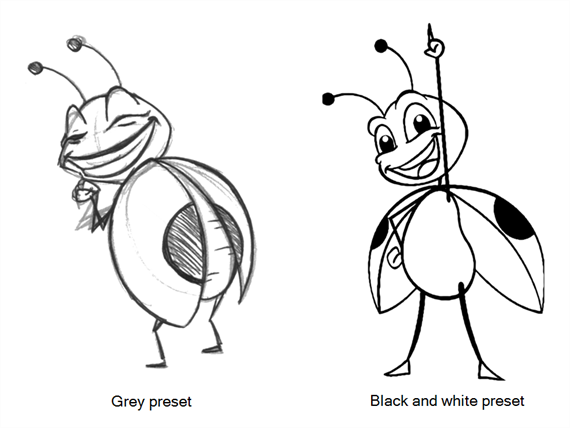 In the Vectorization section, decide whether you want to import your image in black and white or in greyscale. You can also click the New Preset button to create a custom vectorization parameter preset. ‣ Black and White: Vectorizes drawings as a solid black line; creates a 100% vector-based drawing. The outlines of your drawings will be painted with the Vectorized Line colour swatch of your scene's colour palette. ‣ Grey: Vectorizes your image as a mix of vector contour and greyscale bitmap filling. Lines keep the texture from the scan, and the white of the paper becomes transparent. NOTEYou can double-click on any of the presets at any time to open the Vectorization Parameters dialog box to customize your option. Your vectorized images will appear in their selected destination. NOTEIf you have bitmap images in your Library, you can drag and drop them directly into your scene as a quick way of importing a bitmap image. However, you will not have access to all the import options.